There is something so wonderful about weddings, isn't there? Its a magical time in a persons life and I truly love being a small part of it. 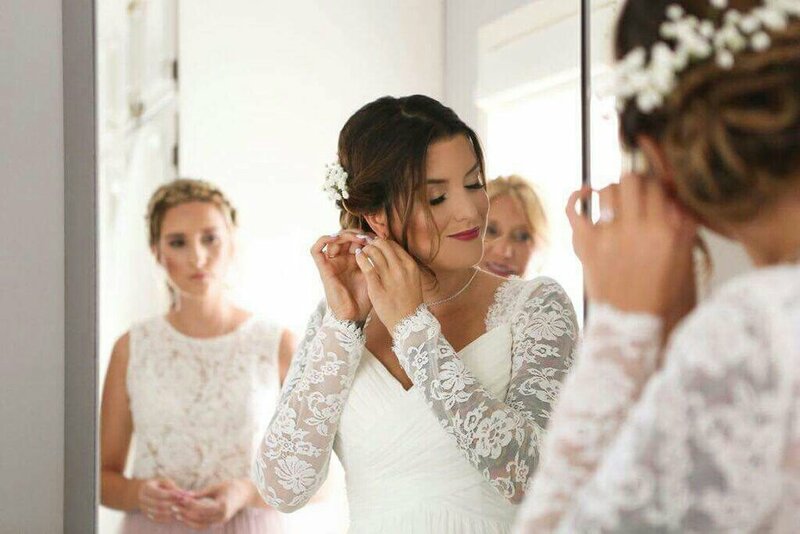 The getting ready part is sometimes better then the getting married part, right?! Just kidding, it comes second to that! Having trouble with picking the right foundation? Have no idea how to shape your brows? Or you just want to learn how to turn your day look into a night time smokey eye?! My favorite thing to do is talk makeup, so let me teach you!